How Can Client contact Customer Services? Clients residing either within or outside Pakistan can send an email at bmatrade@bmacapital.com detailing your query to us or by dialing +92 21 111 262 872 from outside Pakistan. 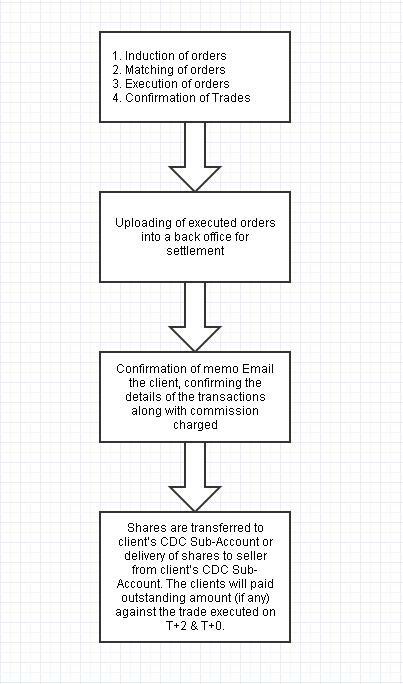 Clients already have a CDC Investor's A/C, what is the procedure to transfer shares from CDC Investor's A/C to my BMA Trade’s Account You will have to provide a CDC cheque (Transfer Order) in favor of “BMA Capital Management Limited", our participant ID is 01826. Submit the cheque directly in the CDC and send us a copy of the cheque stating your BMA Trade user ID for follow up. As soon as your shares are received your BMA Trade account will be updated. Can we have access to BMA Research? Yes! BMA Trade clients can have direct access to BMA’s web research portal, as well as BMA emails its research and break outs to all clients on their registered email address. Are there any other charges other than Trade Commission? Yes! Besides Trade commission you will be charged with .03% of value of shares as a custody charges to your accounts and that amounts to Rs.30/- on account of 100,000/- per and monthly comes to Rs. 2.5/-. Can My account be refused to be opened? Where do I send my deposits and correspondences?